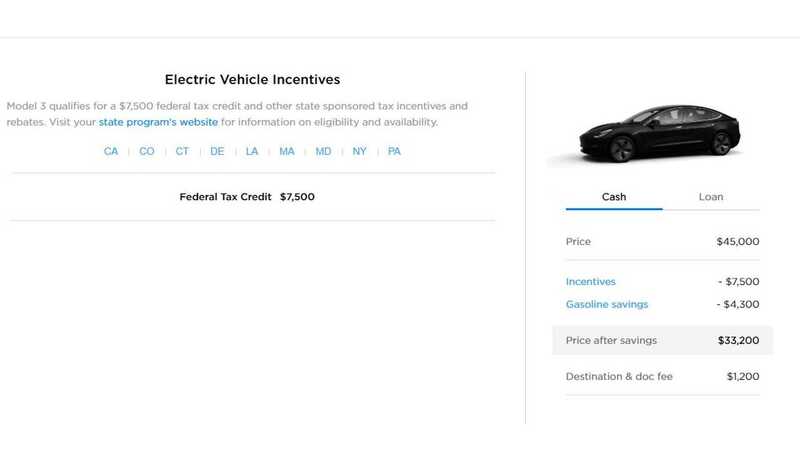 Tesla has just revealed a $45,000 Model 3. 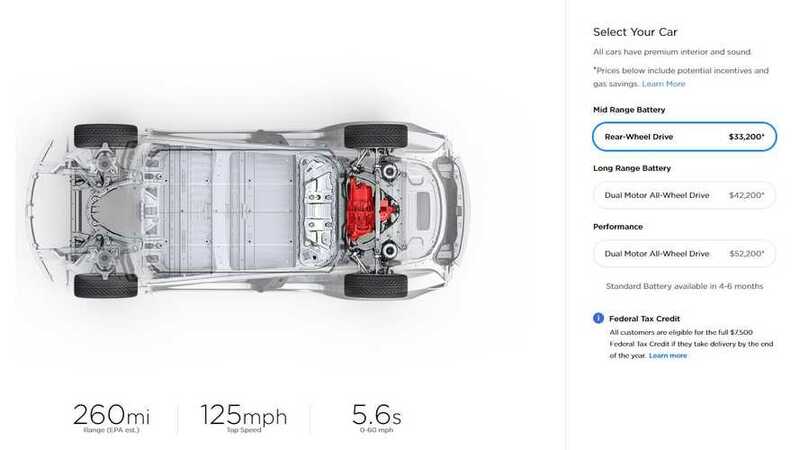 Via its website, you can now order the cheapest Model 3 to date. At just $45,000 and with 260 miles of range, this RWD version of the Model 3 is sure to be hotter than hot. That's just 50 miles less than the long-range Model 3 and still substantially more range than other electric cars available today. Top speed is listed at 125 mph and 0 to 60 MPH is just 5.6 seconds. Delivery is listed at 6 to 10 weeks. This is believed to be the 3rd battery option (short, mid and long) that will eventually be offered on the Model 3. Turns out it's a long-range battery with fewer cells, which means production can happen almost right away. 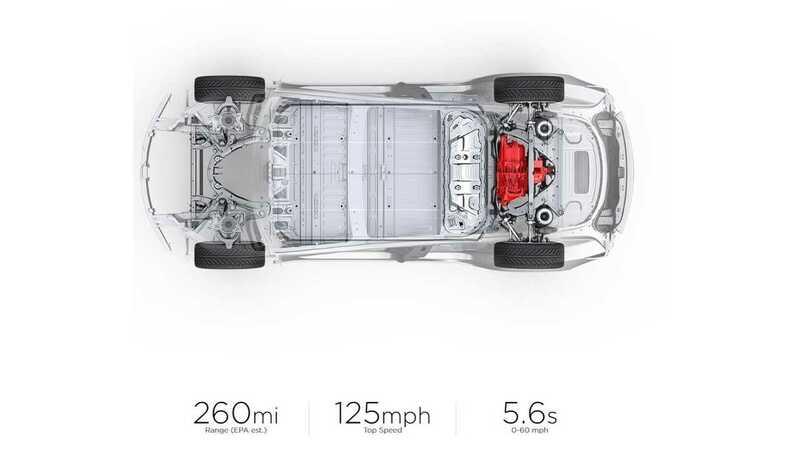 That works out to be some $30,000 (estimated ) less than a Jaguar I-Pace, but with more range. In highly related news, it appears as though the long-range RWD Model 3 is now nearly gone.